Lively bright colour. Delicious fresh red fruit nose, perfumed, cherry and raspberry, the cherry fruit in particular continuing on the palate with fresh acidity behind. 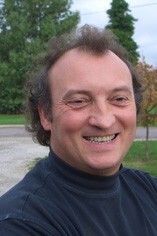 From humble beginnings, Jean-Yves Devevey has developed a small but perfectly formed domaine making both red and white wines. Jean-Yves started with a small holding of basic Bourgogne Rouge and Aligoté from modest locations and nothing but a shed behind the house to work in. Through hard work and considerable skill he has built up a successful business, part vigneron, part merchant, with a properly equipped cuverie and cellar to hand. There are few inexpensive white Burgundies to match the quality of his peerless Les Perdrix vineyard. Since 1999 he has also owned half a hectare of Premier Cru Beaune Les Pertuisots where exemplary farming methods have dramatically improved quality each year. The commune and wine appellation of Rully in the north of the Côte Chalonnaise region produces both red and white wines but is better known for the latter. 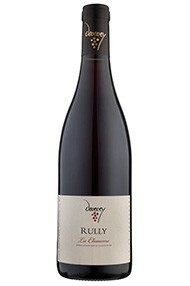 Typically Rully Blanc (100% Chardonnay , fermented and matured in oak barrels) is accessible relatively early in life but well made barrel fermented examples can age for up to five years. The commune is also famous as an excellent source of the sparking wine Crémant de Bourgogne. The red wines are in classic Burgundian style (100% Pinot Noir), supple and accessible from a young age, and they tend to exhibit simple but enjoyable fruity notes with a delightful perfume. The whites tend to be more complex: vivacious and fresh, one can detect notes of apples, lemons and nuttiness. Both reds and whites are rather light-bodied, and are therefore more enjoyable within two to three years of bottling.